Andy Warhol may be one of only seven artists in the world to have ever sold a canvas for $100 million, but it turns out you don't have to be a billionaire to own "a Warhol." In fact, you can do so for next to nothing. 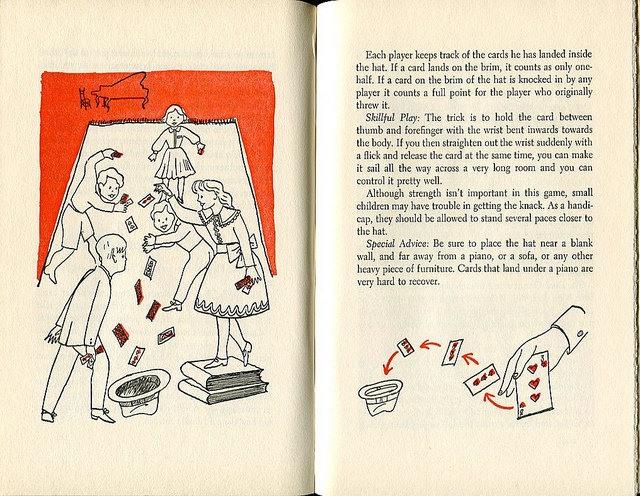 In the late 1950s, Warhol belonged to Doubleday's stable of freelance artists, making a living designing book covers and illustrating dry business books. 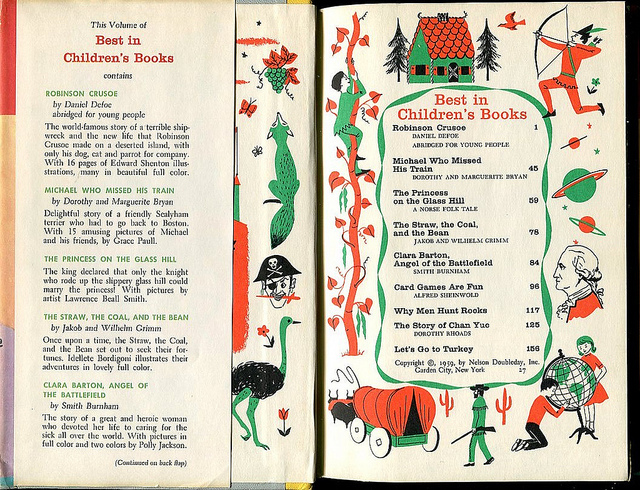 Shortly before halting his love affair with the corporate world in fear of compromising his flirtations with the art world, he illustrated six stories for the excellent Best In Children's Books. 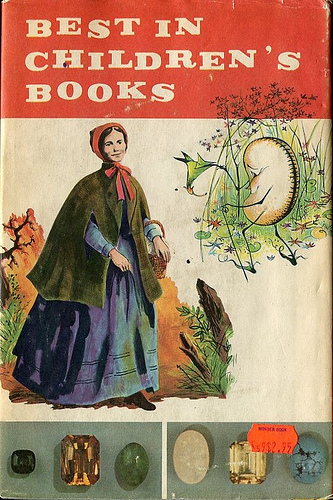 (Cue in my recent review of little-known children's books by famous "adult" authors.) 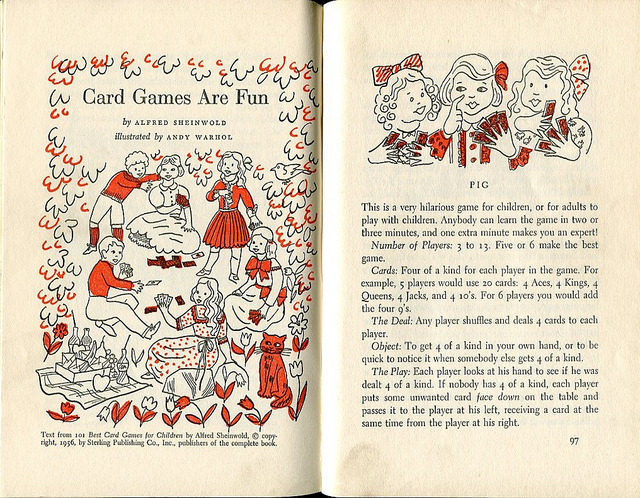 Among them was the story "Card Games Are Fun," from Best of Children's Books #27, published in 1959. What's most striking about this artwork isn't only its complete lack of resemblance to Warhol's most iconic pop art, but also the fact that it remains largely unacknowledged by art historians and virtually absent from most Warhol biographies. Yet something about its honesty, of style and of circumstance, makes it a rare treat of creative history.